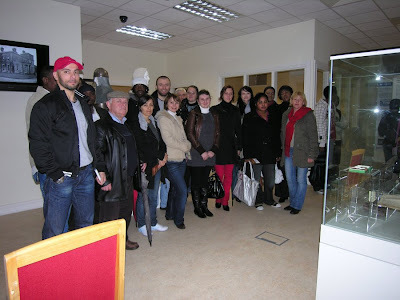 Last Monday we had a group of 28 students along with their teachers from the Adult Education Centre in Waterford. The students from many different parts of the world were very impressed with our museum. A number took a great interest in the history of industry in the area, and Ernest Walton was a popular topic with some more of the students. Even though a lot of these students don't have a great understanding of our language, they found the photographs and artifacts very interesting and they thoroughly enjoyed their visit.